Are you having a good week so far? I am having a great week. 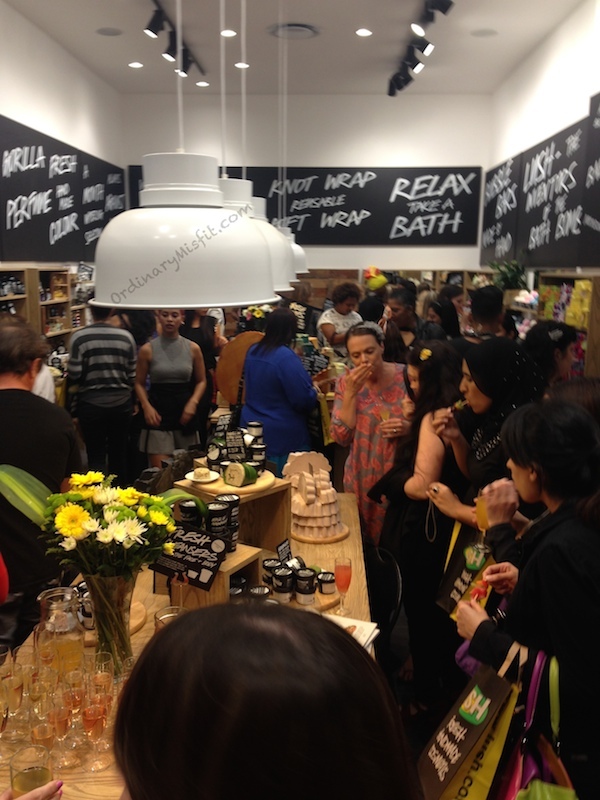 I was lucky enough to get an invite to the Lush Durban store opening. 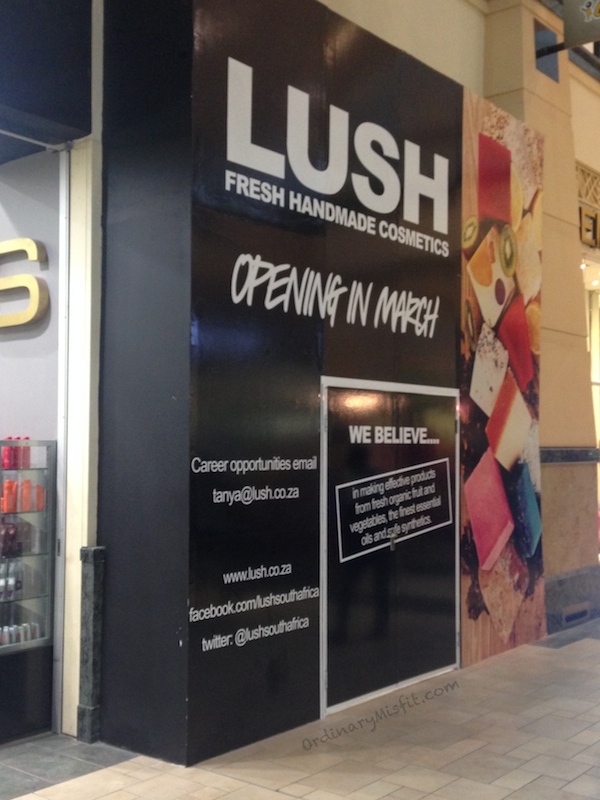 I love Lush and when I heard they were coming to Durban I was too excited. It is like a dream come true. I have been living vicariously through other ladies and had to rely on gifts or favours to get my fix. Their online store opened just a bit before the news of the Durban store opening came out and I was determined to wait for the store to get my fix. I just wanted to a) stand in a store and sniff and b) see all the pretty for myself! And I did just that! Once the door opened it was like I had stepped into one of my versions of heaven (there is a polish version, a book version, a stationary version etc too) The smell is just amazing. It looks beautiful. Heaven! We were greeted by the friendliest and funniest staff and mounds of delicious food and desserts. Fruit juice and champagne was flowing. 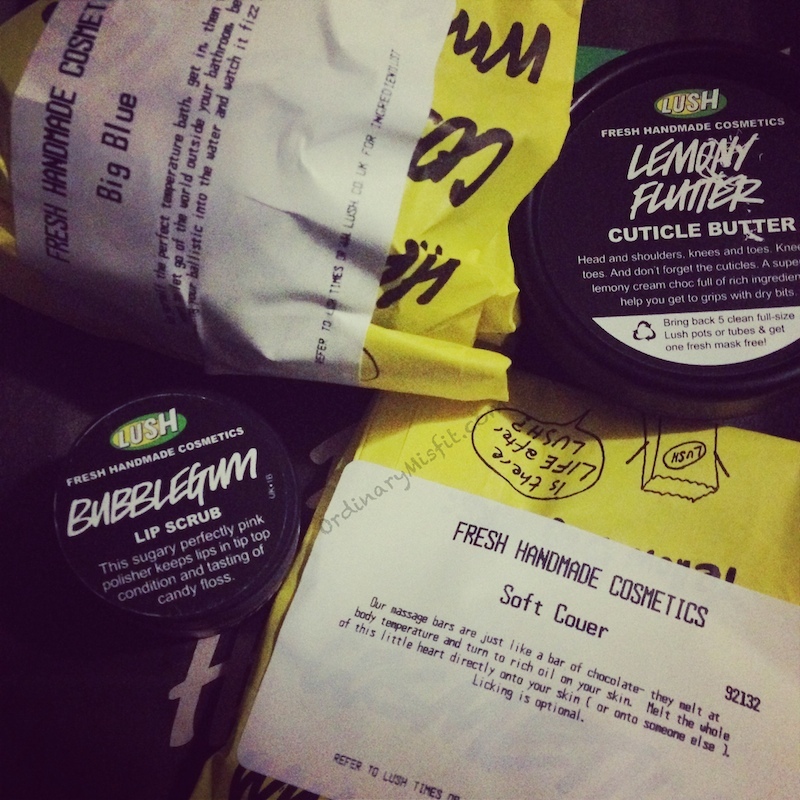 We also got a little Lush bag with a goodie and that just set the ball rolling! I wanted everything. The store was packed at first so moving around was tricky but that gave me some time to chat and have something to drink. After a while it was slightly easier to move around and I was on my way. We got to touch, feel, smell and try everything in the store. Not only are the staff friendly and funny but also very knowledgable and helpful. Nothing was too much and they demonstrated and answered questions on everything! One product was more amazing the next and I ended up going back to so many different things because I couldn’t decide which I loved more. Turns out I love everything! It was also so great to catch up with some of the lovely ladies I have met before and fabulous to meet so many more. It’s great to put a face to the name. 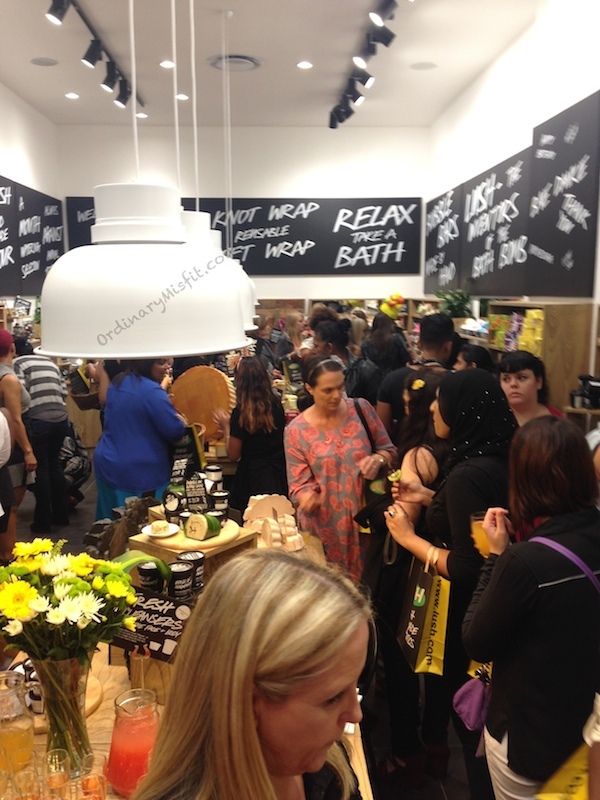 I know that I didn’t get to meet a few of the ladies I would’ve loved to but I hope to catch up at the next one 😉 Lush blew me away with the smells and the pretty colours and the gorgeous combinations. I left the store with enough Lush product on my body that they could’ve put me on the shelf and sold me. I sniffed myself all the way home. The ‘Big Blue” bath ballistic was a gift from Lush. I had to get more Lemony Flutter (Lush, Any chance I can get a 1 litre tub? 😉 ) as it is my absolute favourite cuticle butter (but can be used for so many other things too). I had to get some Bubblegum lip scrub. It’s pink and smells fantastic and it tastes even better. I might have consumed copious amount of lip scrub in the store 😉 . 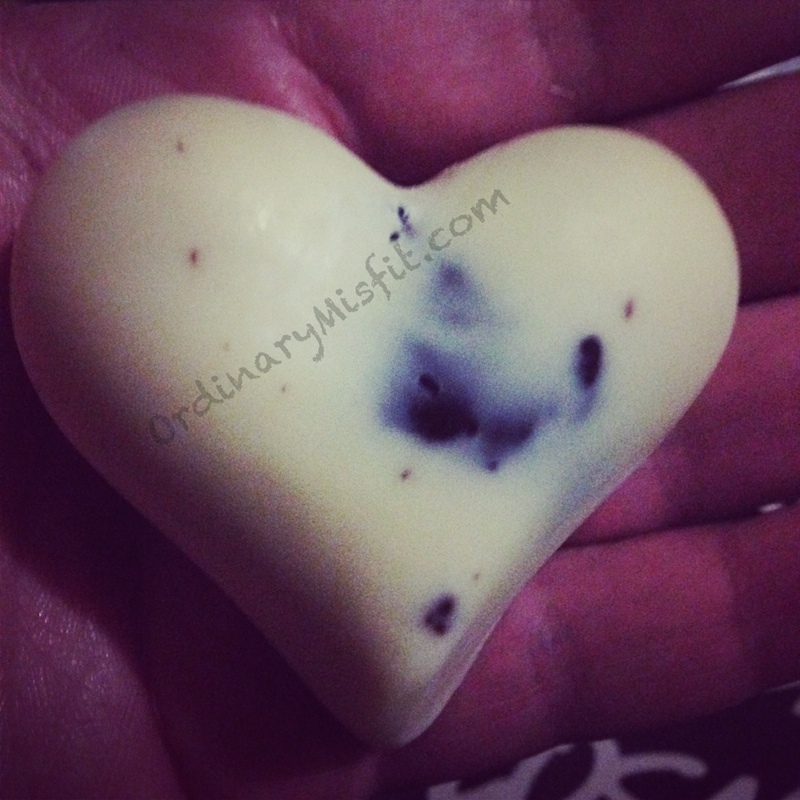 The Soft Couer massage bar. sigh…. That’s a chunk of chocolate in there people! Chocolate! It smells like vanilla with hints of chocolate. Or how I prefer to say, it smells like unicorn poop. Magical! I got this rubbed all over me in the store and I knew I had to have it. It’s dreamy and creamy and I love it! Thank you Lush! For a great evening filled with fun, laughs, great food, great company and the best products ever! It was a proper treat and I can’t wait to visit the store again. Here are a few more photos. Please excuse that I only had cellphone photos. I did have my camera on me but had too much fun to think about that. 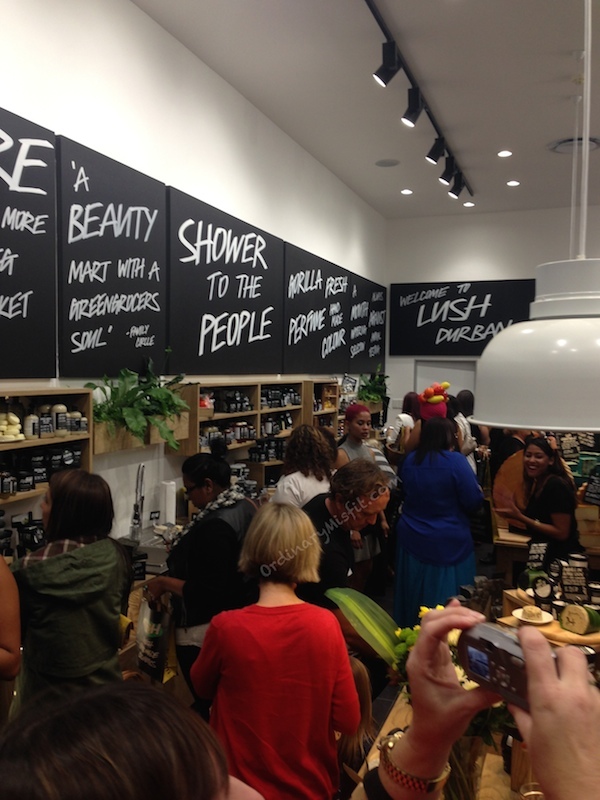 The Durban store is in Gateway shop no G087 (opposite Clicks) or you can find Lush online on Facebook and Twitter or on their website. Don’t forget you can shop online too! 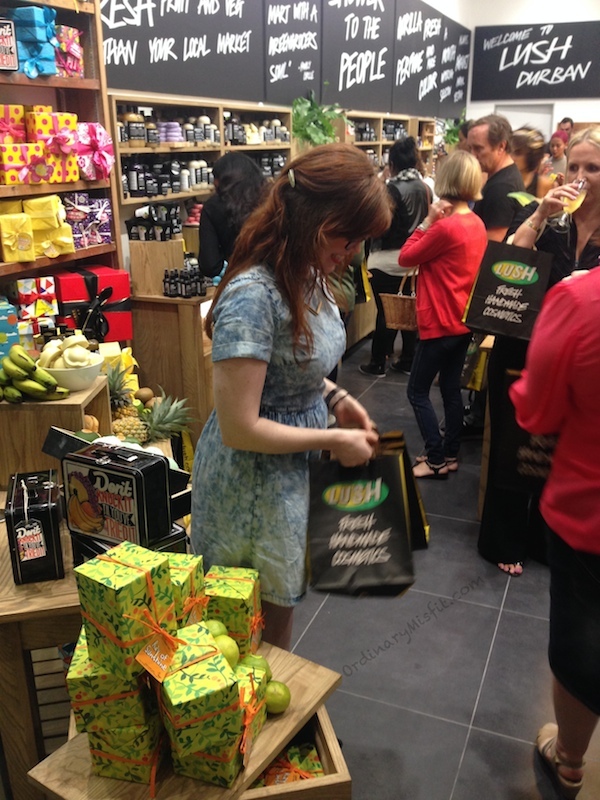 I think you should have a Lush there too. 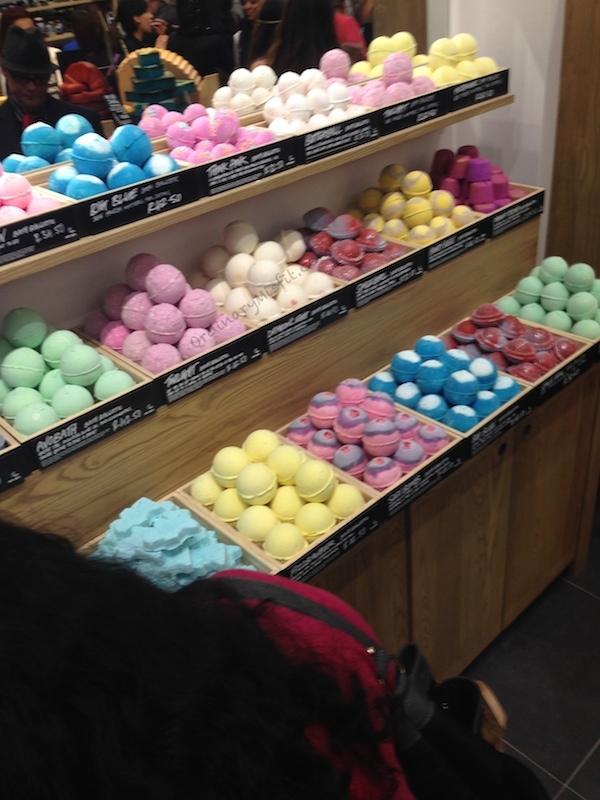 Everyone should have a Lush close by!! Lemony flutter is the Shiz!